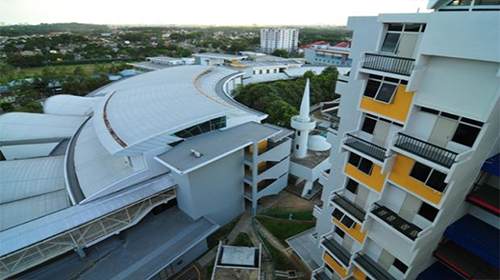 We help the students who are seeking admission in MMU University (Or any other University in Malaysia), in everything from the application process and visa application and documentation to arranging for their accommodation – and even arrange to pick up the students from the airport and all in FREE of charge. We make the students familiar with the life in Malaysia and in MMU University, with the help of our extended services that will make every student feel at home. In simple words, If you are looking to study in Malaysia, we will basically do everything needed that you don’t have to look anywhere else. For details about our services click here. To get started right now or for your inquiries or if you want to study in MMU University, visit our Online Malaysian Universities Application System (OMUAS) or fill out the Register form from the right side. Someone from our team will get in touch with you at the earliest and will take you through the entire process – clarifying all your doubts and answering all your queries. After registering with us you can log in and upload your required documents and that is the only thing you will have to do in this whole process, we will take care of the rest. If you do not have the above scores in English, You can take the MMU English placement Test on arrival to Malaysia. In the case of your disqualification from the above, you will be mandated to take an English course at the MMU University. 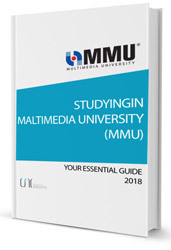 The list of documents for MMU admissions, and all other Malaysian Universities (including the English language institutes) are provided on here. 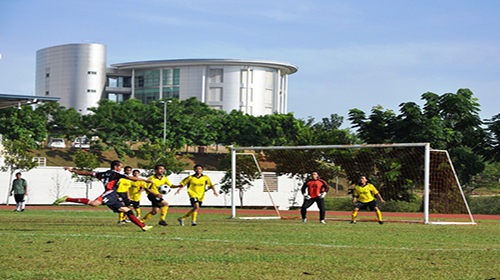 There are primarily two kinds of accommodation available for the students of MMU. Although the application procedure for the On-Campus Accommodation is available for all students, priority is given to the fresh undergrads. There are four 5-storey hostel blocks; with 250 rooms in each block for twin sharing and triple sharing. The facilities provided to the students in the room include Beds with mattresses, Book shelves, Wardrobe, Curtain, Free Internet, Study table and chair and Fan. Some off-campus accommodation is available within 5-10 minutes of walking distance from MMU. 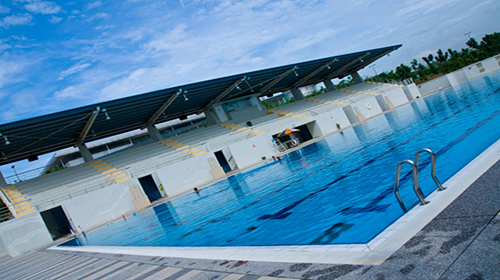 These accommodations are available in Cyberjaya, Melaka and Johor. Each of these units consists of 3 – 4 rooms, which can accommodate 3 – 8 people. 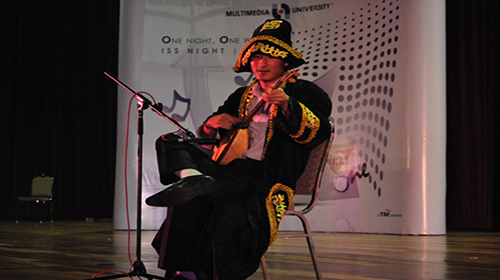 MMU University offers a wide range of programs for the students to choose from. In the following tables, we have listed their available programs along with the tuition fees. Bachelor of Information Technology (Hons.) Artificial Intelligence. 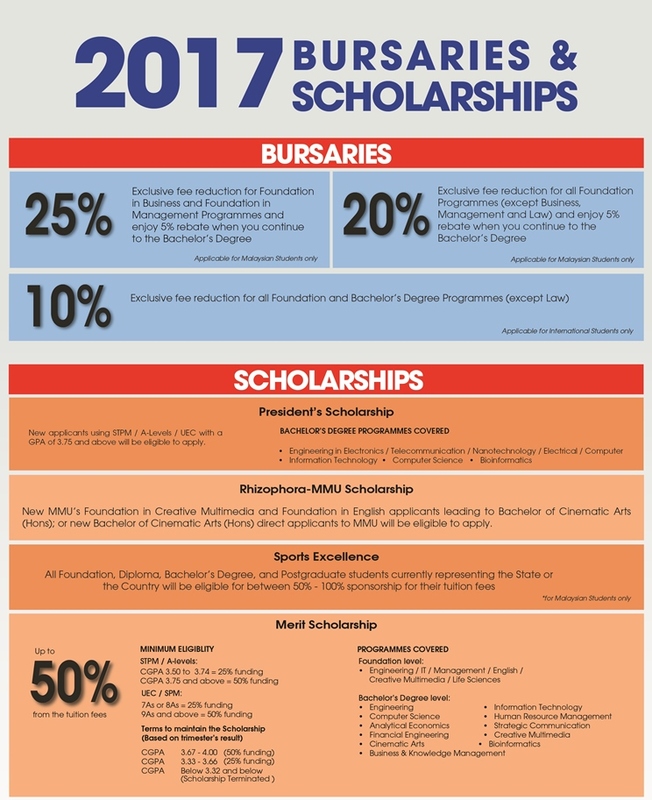 There is the President’s Scholarship program which waives off the entire tuition fee for meritorious students who want to pursue Bachelor’s degree in different streams.For students who want to study films, the University offers the Rhizophora-MMU Cinematic Arts Scholarship with a 100% waiver in registration, tuition and annual resources fees, plus monthly stipend for 1-year foundation and 3-year degree programmes. 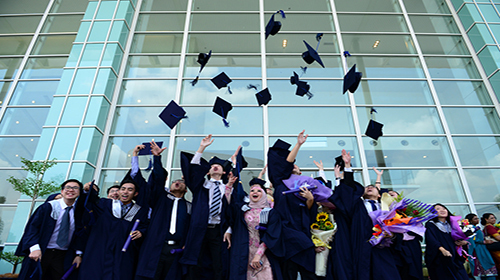 Apart from these, there are several other scholarship programs like the JPA Scholarship, Sin Chew Education Fund, The STAR Education Fund, Wuhan Fiberhome Scholarship etc., which recognize students with exceptional talent and waive up to 100% of their tuition fees along with other benefits. 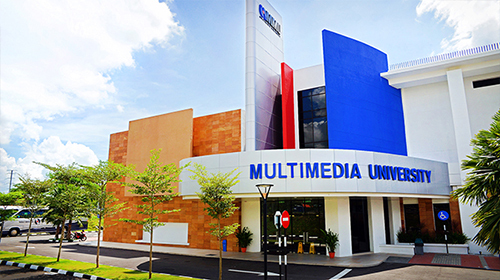 Malaysia Multimedia University (MMU) is a post-secondary education institution, which was established through the Universiti Telekom Sdn Bhd (UTSB). 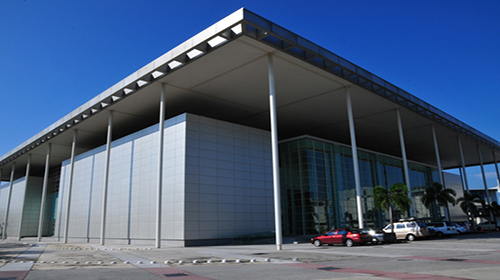 The UTSB is a wholly owned subsidiary of the TM, and is committed to the highest order of corporate social responsibilities – one which believes in educating the future national leaders and teachers. 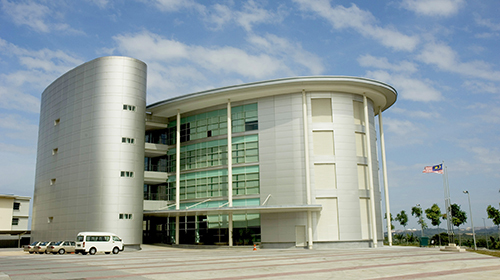 MMU is the first private university in Malaysia and it led the way for the establishment of several private universities in the country. This not only improved the tertiary education system, but also served as a motivating factor for the development of the Technology sector in Malaysia, which is now equivalent to the Silicon Valley in the United States of America.